There are all sorts of coffee available to coffee drinkers, how than can we broadly tell the apart. This post categorizes them into four main categories. Like with many other beverages most coffee drinkers get introduced to coffees through blends. They may then come across single origin coffees. Since the 80's there has been additional access to other coffee identified as regional, estate and even single crop or micro-lot coffees. What do all these things mean and as a coffee drinker does it help to know these identifications? We believe it will? A blend is what it says, a blend of typically at least 2 and sometimes up to 11 coffees. Masking of Quality: Although this may sound a little cynical, the most common reason coffee is blent is to hide the lower quality coffees used in a blend. Then adding a small percentage of an above average to good quality coffee helps mask or hide the foul taste. This is especially the case with pre-ground coffees, instant coffees and convenience coffees. These types of coffees we believe are responsible for the obsession of adding milk and too much sugar into coffee. And there is a long history of this type of blending that has its origins in scarcity of good quality coffee due to wars and trade route problems. Problem with Volume: Some coffee companies look at blending at a way of producing something out of rather ordinary coffees. Most of the large brands are almost forced to do this. The reason for this is that their volumes demand that they use coffees that are available in bulk, and as we will see later this is a problem when sourcing really good coffee. Almost all commercial heavily branded coffees stick to this model. They use chemists to produce a good balance and predictable taste. They also generally resort to aging their roasted beans and ground coffee to flatten the top notes of coffees. The two large commercial Italian brands, blend over 9 coffees, and normally age the beans over 16 days to reduce the highly reactive acids in the coffee. Some think that tastes great, to us this makes the coffee a little flat and uncharacteristic. The largest coffee company in the world blends up to 32 coffees to get the generic taste they believe their consumers want. They then sometimes introduce aroma into the packaging so that your senses are hit when you open the bag. Good Coffee: A blend of up to 4 high quality coffees, can produce a great balance of sweetness, brightness and body, and still be unique and seasonal. As soon as you go past using 4 coffees you start losing uniqueness and the blend becomes a little ordinary. In our experience using 3 coffees to dominate the blend and an extra 1 to add a little something to complete the blend has been a good rule of thumb. Although blends continue to be popular with the general coffee consumer, we have seen that the real lover will slowly migrate away from blends, at least occasionally, to enjoy the unique flavours of the other coffees that are available. The same is normally the case with a wine lover that starts with blends then may prefer a Chardonnay or Cabernet Sauvignon. For Whisky lovers (or if you are Irish: Whiskey) they will eventually try single malts, and then may decide on say Islay origin as their preference. This is a phrase that has been connected to coffee for decades. It means a coffee from a single country. It is quite common practice to use country of origin to determine typical flavours. So a Brazilian single origin coffee should be very nutty, with walnuts or almonds. A Honduran coffee will be fruity with cherries and subtle nuts. A Kenyan will be bright (or sometimes called acidic, although we hate that word, since it is like calling the sea blue, there are well over 600 acids in coffee, calling coffee acidic makes people think of what they add to their pool). While Single Origin can create a good anticipation of the flavours and aromas a coffee should produce, it is not that precise, and can also cause a coffee that is special from a country to be discounted by tasters. If a single coffee has gone through the bulk grading, then that is normally how it is identified. Every country seems to name their higher graded coffees differently. To name a few higher grade coffee names, higher graded coffee from Columbia will be called Supremo or Excelso, while one from Kenya will be called a grade AAA or AA, and an Indian coffee be called Plantation A; and an Ethiopian grade 2. This normally just represents the size grade of the coffee, the larger the bean the higher the rating. These standards vary for each country, just as they all seem to do their own thing in naming and applying their grades. There is a general rule of thumb that is applied here: the higher the grade the bigger the bean the better the coffee should be. There is one exception to this rule though, and that is a grade called Peaberry, and in fact some coffees species are interbreed to promote this grade. 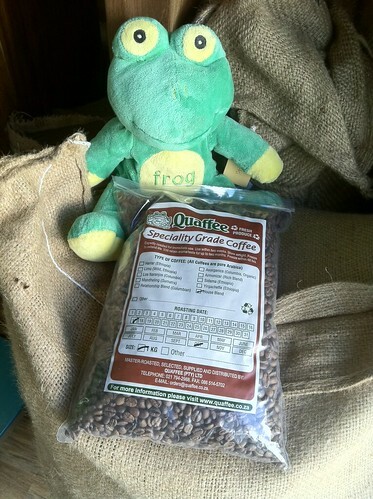 The good news about Peaberry is that it is one of the few grades that are embraced world-wide. A Peaberry grade should mean that it is the pip (coffees beans are the pip of a fruit) of a fruit that has no sibling. Peaberry coffee is normally equivalent to the highest grade of the country, and normally these coffees are at least as good as the highest grade offered in a country. Single origin coffee represents coffee that could be from multiple regions, multiple farms, multiple processing plants, you get the picture. It is a cooperative of coffee from farms from a single country. Hence a single origin coffee is essentially a blend of coffees from the same country. Coffees from a distinct region of a country are classed as a regional coffee. This type of coffee will have more dominant characteristics than a single origin coffee would. Limu; from the western forests of Ethiopia. Many believe this region of the world to be the origin of coffee, although recent evidence has suggested that it may be Southern Sudan. This coffee is celebrated for its mocha flavours. Antigua; from Southern Guatemala (not that island in the West Indies) is a bodied coffee with subtle brown sugars. This region has its own organization promoting regional coffees now. Mysore; from Western India. Typically an earthy coffee with strong body. These coffees are normally processed centrally, within the region they come from. Each region is slightly different in the way they process coffee (perhaps we will go in to the processing in a future post, since this is whole separate discussion). Also regional coffee represents a number of farmers, or at least identifies the more localized area that the farms are based. Some countries, like Ethiopia and Columbia, harvests are done by micro farmers that harvest less than 1 acre of coffee. Each farmer’s harvest is then pooled by a regional processing plant, that processes the coffee and rewards the farmer by weight. A regional coffee is typically a co-operative of farms that are processed in a regional way and plant. This category of coffee has slowly become a more popular choice in coffee, preferred over the single origin coffees. Single origin coffees and regional coffees are often intertwined or linked, depending on whom you are speaking too. When people mention a single origin coffee, regional coffees are often incorporated in that grouping. These coffees deserve to be separated from the coffees identified as coffees of single origin. Accessing these coffees at a single processing plant before it goes to a large auction floor is becoming more and more feasible, making it possible to source these coffees direct. A coffee purchased off an auction floor at a countries bulk auction is really more a single origin than a regional coffee, since these lots are normally pooled together by the bulk buyers that purchase these coffees. This is changing, since over the past 2 decades there has been a trend where single origin coffees fetch lower prices than regional coffees. And that is good news for those that are looking for something a little more distinct, and good news for regional farmer too. This category of coffee represents the cream of the industry (should perhaps be called the crema of the coffee industry). They have to be extraordinary to be recognized at this level, since for an estate to run its own auction or its own process means that the grower is starting to take pride and care in what they do. Estate: Means that a coffee is from a single farm or farming area (consider there are a number of community based farms world-wide). Micro-lot or single harvest: this is a single harvest from a single region of a farm. It could be one days harvest or one week’s harvest. But it normally represents the best harvest from that farm it can offer. Some things to keep in mind here, many estates and farms will share processing and specifically drying plants, however they will separate their harvest from the other estates or farms (also called fincas in Central America). Only estates that produce remarkable coffee will be able to sell their coffee as estate coffee. An estate that produces a remarkable single harvest will also offer the micro-lot or single harvest option too. Some farms run their own auctions, even online. The farms or agent that run these auction allow coffee roasters can pre-purchase samples and then put in a public or private bid for the coffee. More commonly though, there are agents that handle the selling of these coffees, sometimes employed by the farm or the processing plant. As you can gather from this process only really good coffee is sold this way, otherwise they would not sell. These auctions lots sell at pricing that is sometimes astounding, with some of the most sort after coffees fetching prices of over R 3,000.00 a kilogram – un-roasted or green bean. But typically they are sold at between $6 and $20 a pounds FOB. If an estate does not sell their coffee through their own drive, they will normally take it to a regional centre, who will try selling it as a regional coffee. If that coffee is still not sold, it will go to the countries bulk auction (where it may be re-graded). If the coffee is not sold at auction it will then be blended as a discount lot, and sold as a bulk blended lot (by the way this coffee will still be called single origin at this point). The bulk blended lot is the coffee that makes its way to the bulk blends and grades that will then make a deal. Although we have seen this coffee sold as single origin too, except the origin is then normally just identified by the port where the auction took place. And soon some coffee will make it to your home, will knowing all this help? Well perhaps it will just help you be more informed next time.